In the early 1990s the Dublin City Council decided that Ballymun was in need of urban regeneration. The Council took a ten per cent sample of the Ballymun estate – the Plunkett Towers – and began upgrading it. Security and the lack of play facilities for children were recurring complaints. New playgrounds secured by purpose built railings and entry gates to each block were constructed to help enclose and protect tenants and their children. The railings for each block were colour coded and painted with GALVACOAT™. Maintenance and durability were top of the Council’s agenda and GALVACOAT™ was specifically chosen as it met these requirements and avoided the need for etch priming. “These railings haven’t been touched in sixteen years and there’s not one sign of chipping or flaking,” remarked Dan Moynihan, Area Engineer with Dublin City Council. Mr. Moynihan and his team have responsibility for the maintenance and upkeep of the wider Ballymun area. For them, GALVACOAT™ was a major improvement saving both time and money. UV protection and anti-graffiti properties in the paint make it a perfectly durable coating for the steelwork around the Plunkett Towers. 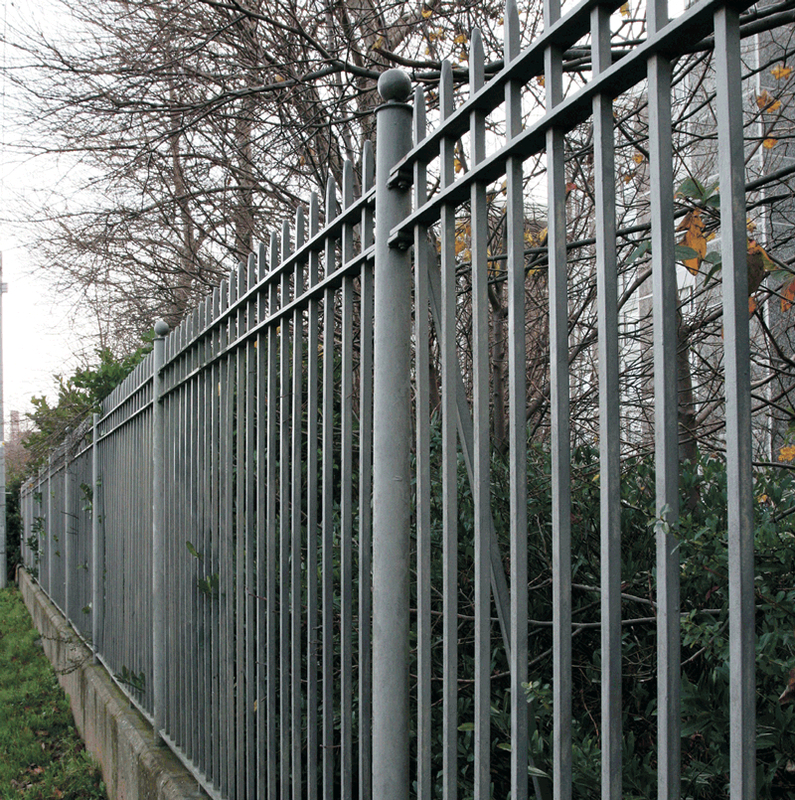 The Galvacoated railings were part of Dublin City Council’s initial steps to rejuvenate Ballymun. While the revamp of the Plunkett Towers was a major improvement for the tenants and to the wider area, it was widely recognised that what was once state of the art infrastructure, servicing the towers was now out-dated. The Council took the decision to raze the towers and relocate residents into new, modern and self-sufficient villages nearby. Given the success of the Plunkett Tower railings, the Council has taken the decision to finish the steelwork around the new housing areas in Ballymun with GALVACOAT™. Its adhesion properties, resistance to humidity, impermeability to sulphur dioxide, water and salt make GALVACOAT™ the ideal product to finish any long-term steel project with. The multibillion Euro renewal project should be complete by 2013.